It’s easy to create a low-cost website that lets you communicate with customers and sell products or services. Building a great business website involves purchasing a domain name and hosting, creating content, and then using a website builder to customize your design and publish. Business websites are essential to remaining competitive in today’s market. If the .com version of your business name is available, consider using it for your website over other common extensions like .net or .org. It’s best to use a .com extension because people tend to search for and trust a .com business site first when looking for information or products online. After you’ve found your domain name, you can also sign up for hosting. Bluehost typically charges $7.99/month, but Fit Small Business readers pay only $2.95/month for domain registration, website hosting, and a custom small business email. Click here to learn more. Avoid Random Symbols or Punctuation – Domain names should be easy to pronounce and remember. Keep your name as short as possible and avoid punctuation like dashes. 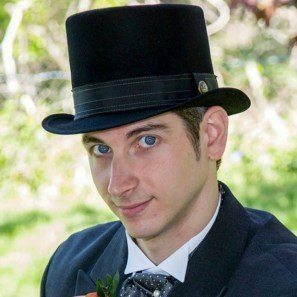 Use Location Keywords – Use location keywords to find a unique URL. If all desired domains are taken, add your city/area name to the domain. For example, a company called Smith Plumbers based in Albany, NY, could try www.smithplumbersalbany.com. 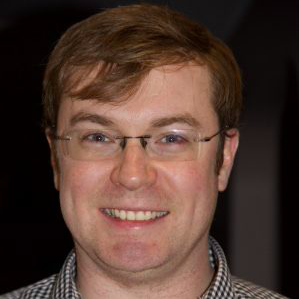 If you still need help choosing a domain name, see our Top 25 Domain Name Tips from the Pros. Once you’ve chosen a domain, the next step is to decide where to host your website. A host is the service that actually stores your website and transmits it to online visitors. In our experience, the two best host platforms are Bluehost and Weebly. Bluehost is the most versatile hosting option and the one that delivers the most value. You can register your domain (as described above), host your website, access a WordPress web builder, and get a business email address for just $2.95/month. 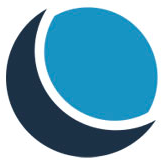 Click here to check out Bluehost’s hosting plans. 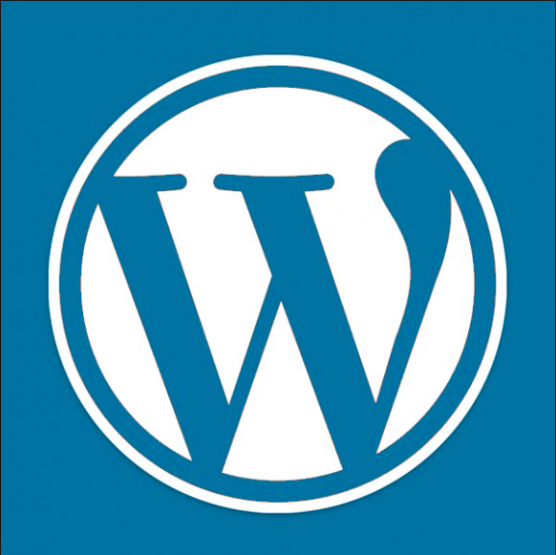 If you are a little more tech savvy and want access to unlimited features and functionality, WordPress is the way to go. Some web hosting providers, such as Bluehost, offer a free WordPress website when you sign up for their $2.95 web hosting package. Just bear in mind: WordPress is an intermediate website builder. You won’t need any programming knowledge, but you will need to familiarize yourself with their back-end. Unlike Weebly, which lets you edit the website just by dragging and dropping elements, WordPress has a more complex edit menu. To help, we’ve written a few guides and recorded some videos (both below) that explain how to create a WordPress website using Bluehost from start to finish. If you follow one of our guides and use our theme, you should get most of the work done in less than an hour. You can also get started by reading our guide on How to Make a WordPress Website. 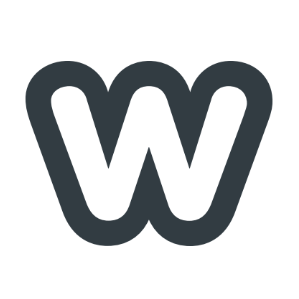 At $5/month, Weebly is a host and website builder that utilizes drag-and-drop interfaces, templates, and plug-ins or apps that make it easy to design a custom website. 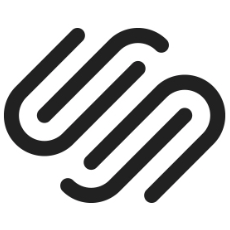 For small business owners who are short on time and are less technologically advanced, but are willing to pay a little bit more, we recommend using Weebly. With Weebly, you start by choosing a template, then customize by adding your own pages, text, and images, and changing colors and fonts. The editing process in Weebly is very intuitive. If you’ve ever used Microsoft Word or PowerPoint, you’ll easily grasp the tool. Add elements by dragging them from the sidebar, adjust the size by dragging from a corner, and change text by double-clicking within the text box. It’s also easy to add interactive features to your website. Weebly has click-to-add options for Google Maps, quizzes, YouTube/Vimeo embeds, web forms, polls and surveys, and more. This can make your website more functional, help your customers engage with your business, and share your content on social media. For more information, check out our article on how to build a website using Weebly. Homepage – On the homepage, you should include the name of your business, where you’re located, and a simple pitch that includes a few lines about what makes you unique and/or why customers should choose your business. Products or Services – This page should offer details about the products you sell or services you provide. Spend one to five sentences describing each type of product or service you offer and then list their prices. About Us – Provide your company background and list organizational memberships like the Better Business Bureau. Also include customer testimonials; these help your company build more trust and credibility. Blog – Create an editorial calendar to determine the blog content that will help you connect with your customers and community. Contact Us – Your address, email, phone number, the hours you are open for business, and links to any social media accounts such as Twitter and Facebook should appear on this page. You should also embed a Google map, if applicable. A mobile-optimized website adjusts to mobile devices by altering the layout for smaller screens to make it attractive and user-friendly. More than half of customers browse from their smartphones instead of a computer, so it’s imperative as a small business owner that your website is mobile-friendly. 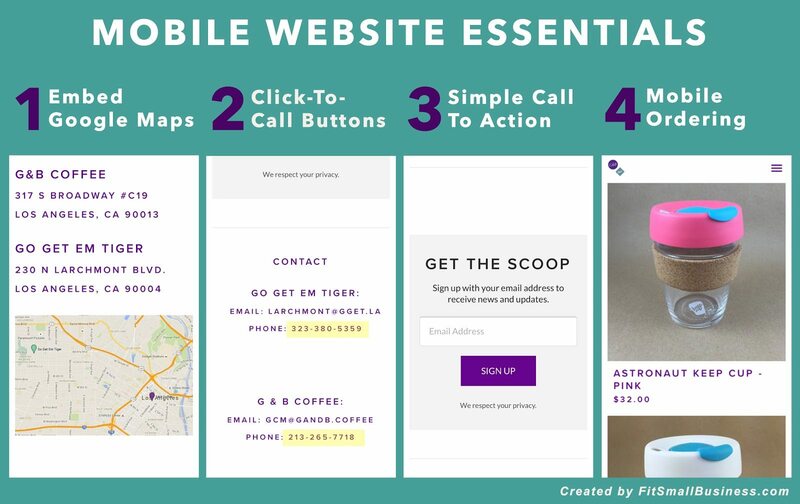 The good news is most of the top web builders, including Weebly and WordPress, automatically create mobile-optimized websites for you. Known as “responsive,” these websites can detect the type of device visitors are using and automatically shift the content to give them an ideal experience. 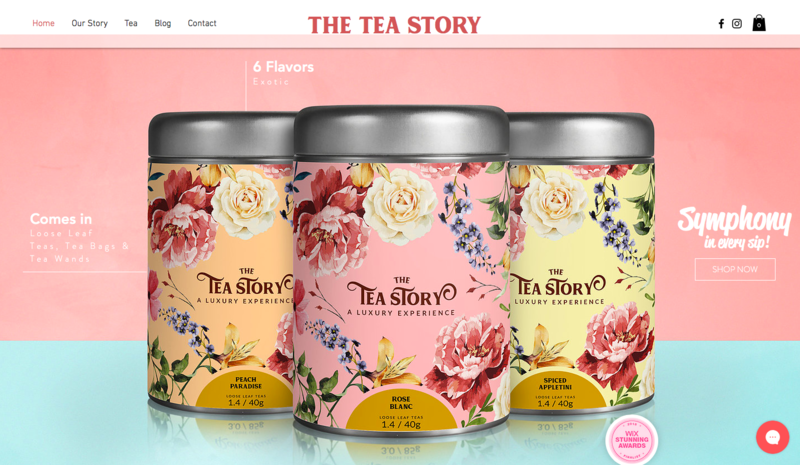 The colors, font, and style of your logo will affect the design of your website. This is because you want a consistent theme between your logo and web pages. If you already have a logo that you are using in the offline world, then perfect. Find the digital file, or create a high-resolution scan to use on your website. If you do not already have a logo, or want to upgrade from your existing design, there are three key ways to create one. Logo design agencies handle all aspects of logo design, from conception through initial designing, editing, and eventual completion. DesignBro, for example, a leading design firm, runs contests among top-rated designers to compete for your logo design. Clients often begin receiving designs within 24 hours. Prices start at $199 for three suggested designs and run to $479 for 10 top designs to choose from. Work directly with designers and request unlimited revisions until you’re happy. Final designs are sent in print and digital formats (pdf, .jpg, .png) with a legal copyright for the design in your name. To design a website, envision and plan how your site will be laid out, including the colors, fonts, images, page structures, interactive features, copy, and graphics. It’s been shown that it takes someone less than three seconds to decide whether to stay or leave once they hit your website, so it is imperative that you make a good first impression. Have clear navigation: You want people who visit your site to instantly know what your business is about and where to go to learn about your products or services, find pricing, contact a representative, or make a purchase. If your site is not clear, people will get frustrated and leave. Use call to action buttons: Implementing buttons with clear actions will immediately attract the user’s eye. This helps you to lead the person to take your desired action. Make sure your site loads quickly: People are impatient, and if your site takes even a fraction of a second too long to load, people will give up and look elsewhere. Make sure your web host provider, like Bluehost, has fast load times. Keep it minimal: Don’t overdo it with the design and definitely don’t feel like you need to cover every square inch with information or a design. White space is your friend. By keeping the look minimal, you can focus attention on the things that you want people to really pay attention to. There are many ways you can design your site. This includes outsourcing to freelance platforms or agencies, using do-it-yourself design tools, and leveraging website builders. If you’d like a simple website with text, photos, a basic online store, and standard three to five pages, you can find a website designer on Fiverr. 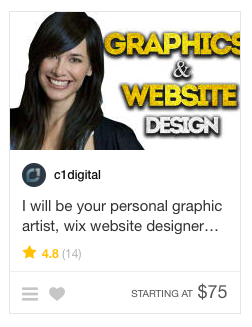 For a really good website designer with a 4.5- to 5-star rating, expect to pay between $75 and $500, depending on the freelancer and his/her experience. Simply open an account and search for “website designer” using the search bar. Some providers specialize in WordPress, Wix, or Weebly websites, so be sure you know what platform you’d like to use before looking for your freelancer. See below for the type of business each website builder is best suited for. 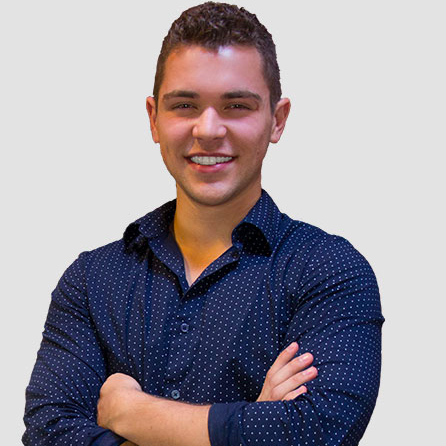 When you work with Hibu, they assign your business a dedicated digital specialist to work one-on-one with you. First, they assess how your business performs online (social media, local listings, and more) and then give you improvement recommendations, including a website if you don’t already have one. If not, Hibu can research your target customers to design your website around their needs. This helps your business actually convert visitors into buyers. 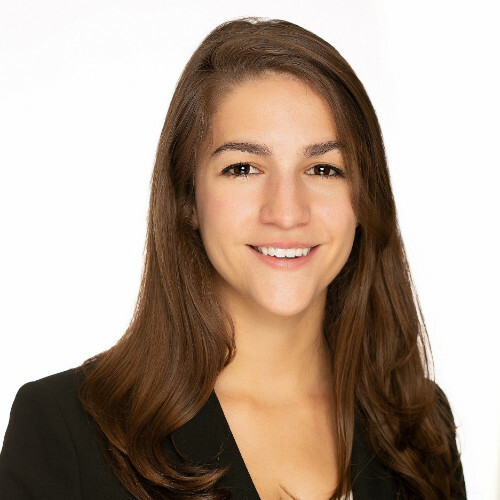 You can connect with a Hibu representative for a no-obligation consultation before moving forward with your dedicated marketing specialist. Website builders offer intuitive design tools to create a website even without coding skills. Many of them have drag-and-drop editors, so you just have to point and drag elements like text boxes and images where you want them. They’re made for small businesses wanting to design a professional website in under an hour, and cost around $5/month. – Tom J. Cameron, President, Digital Pudding, Inc.
A domain name is made up of three parts: a business or website name, a dot or period, and an extension like “com.” Domain name registrars give you the tools to search for and choose an available domain name and to own it for a set period of time, usually a year. Among the top domain name registrars for 2019 are Bluehost, HostGator, and GoDaddy. For a more in-depth domain name registrar comparison, read our 6 Best Domain Name Registrars 2019 buyer’s guide. 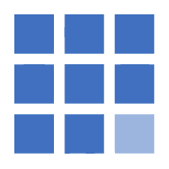 DreamHost offers 100%-guaranteed website uptime. It has two small business packages. Their $2.95/month Starter Shared package comes with a shared hosting service, one website, unlimited traffic, fast SSD storage, and an SSL certificate. The larger package also comes with unlimited websites. 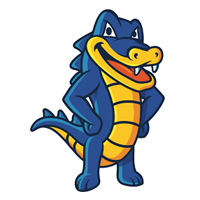 HostGator is similar to Bluehost and DreamHost, but its smaller startup plan offers unmetered storage and traffic, unlimited website pages, and unlimited email addresses. They also offer domain names starting at $12.95/month. It is good for websites that expect plenty of traffic and need many pages, like an ecommerce site. 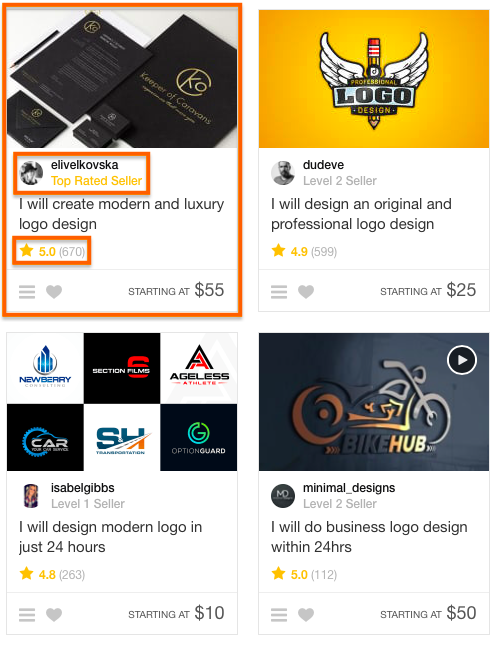 1&1 IONOS is great for solopreneurs or startups on a tight budget. Their Business plan (starter plan) offers fewer features than other providers, but starts at $1/month for the first 12 months and includes 100GB of storage, 25 email accounts, and a free domain. Their Pro plan (mid-tier plan) is $5/month and offers more storage and email accounts. 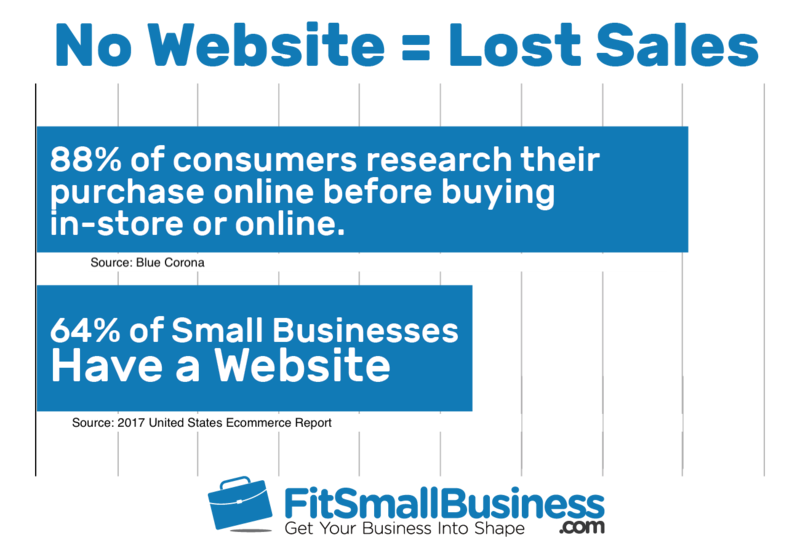 A small business website builder offers website editing tools and templates that allow small businesses to build a website, even without coding skills or expert developers on-staff. Choosing a website builder should not be taken lightly, as each has strengths that complement unique business needs. Weebly is best for businesses needing a static, easy-to-design website. At $5/month with a custom domain, a drag-and-drop editor, pre-built themes, and easy-to-install apps (like social share buttons, forms, and analytics), Weebly’s drag-and-drop website builder is as easy as designing a PowerPoint presentation. You can customize photos, text, colors, and navigation, and add pages and elements for an on-brand website. For a more in-depth comparison, read our Six Best Website Builders 2019: Reviews & Pricing Guide. The best websites offer a memorable and often inspiring user experience via design, layout, color schemes, images, fonts, and more. 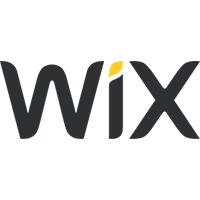 Today, small businesses can compete by creating a comprehensive visitor experience via code-free and affordable website builders like Wix, WordPress, Weebly, and more. 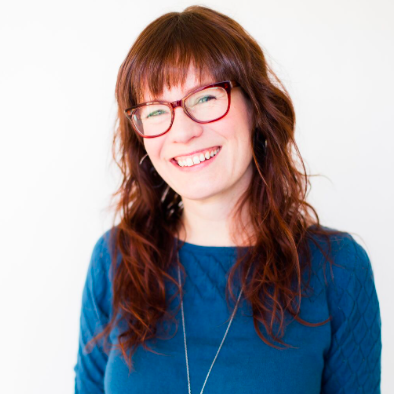 Klara Kelly doesn’t just run a website; they support a cause via their small business. 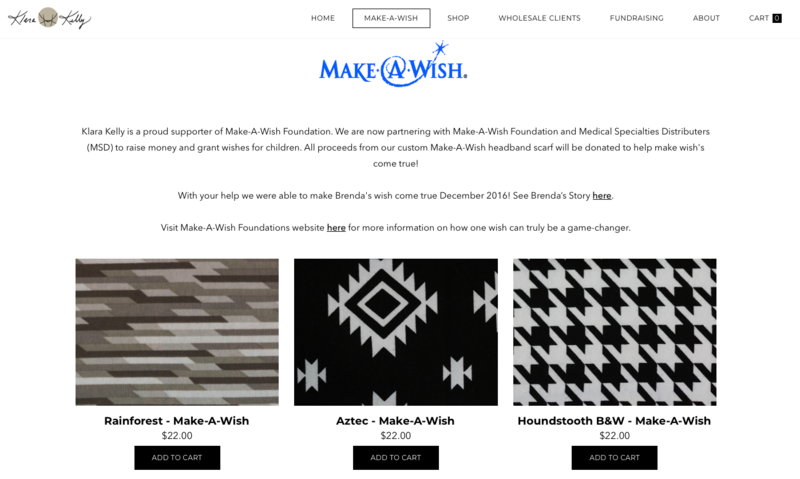 Specializing in headbands for women and girl athletes, their “Make a Wish” tab features their “Make a Wish” collection, of which a portion of the profits go to granting critically ill children their primary and sometimes last wishes. The fastest and least expensive way to create a professional-looking website is to use a website-building platform (e.g., Shopify, Squarespace, Wix, and so on). 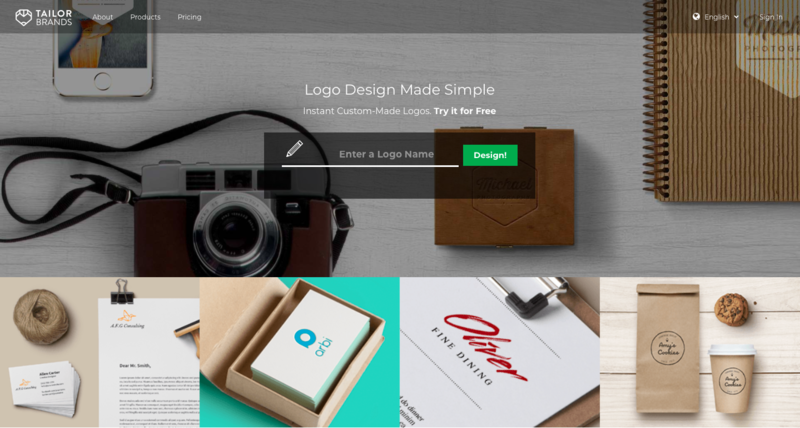 Such platforms make it easy to create a website quickly with templates or drag-and-drop designs. You don’t need to know coding to use them and most of them have SEO built into them. 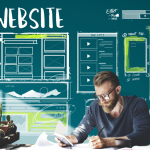 When you build a website, you will run into a lot of specialized language that can be confusing, including “website builder,” “website hosting,” “domain names,” and more. This glossary will help you make sense of the language used to describe the process and tools to start a website. Website Builder – Website builders are a suite of tools that allow people to design and launch a website without coding skills. 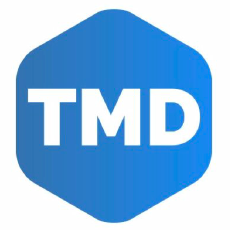 Tools include website templates and drag-and-drop or navigation-based menu design tools for further optimizing website layout, colors, fonts, images, images, and more. Website Hosting – Website hosting providers sell room on their servers (large, centralized computers) to store your website files, where website visitors can then access them via your domain name (www.mywebsite.com, for example). Domain Registration – Domain registration is the process of registering (or renting) your website’s domain name so you have the exclusive right to use it for your business. You can purchase a domain name from a domain name registrar like Bluehost. Domain Name – Instead of a string of numbers in an IP address, a domain name converts your IP address into a name people can remember to access your website online, like www.fitsmallbusiness.com. Subdomain – A subdomain is an internet domain name that is part of a larger or primary domain. For example, WordPress offers free subdomains you can use to create a free website. Their primary domain is WordPress.com. A subdomain would be mywebsite.wordpress.com. There are even some free domain options. However, many of these options are less than desirable when compared to more reputable paid services like Bluehost or Weebly. For more information, read our article on the best free web hosting services. How Much Does It Cost to Create a Website for Your Business? To create a website, you must first choose a hosting provider and register a domain, and then you can use a website builder to design your website, even without coding skills. Prices can vary depending on where you purchase web hosting, a domain name, what website builder you use, and if you hire a professional designer. However, if you purchase them all together via a web hosting provider like Bluehost, expect prices to start at $2.95/month when billed annually. To learn more about the costs involved when creating your website, view our complete guide to website costs. 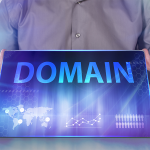 Is a Website Domain Name Better than a Subdomain? That said, some professional bloggers or early-stage entrepreneurs working on a non-existent budget can easily start with a free subdomain to ensure they have a web presence. However, it’s best for these businesses to upgrade to a domain name as soon as financially possible. How Can I Get a Small Business Email Address that Matches My Website Domain? When you set up your web hosting with Bluehost, you also get a free business email with it. 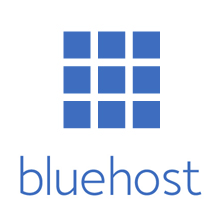 Once logged into your Bluehost account, click the “Hosting” menu and then the “Email” submenu. Really a great blog, Thank you for sharing. I’m so glad to hear this! Thank so much! Great tips! However, in the same time that it takes to build a small business website, you could actually build an entire system that collects leads, generates sales, and even alerts your customers about new products and services via email and Facebook when they become available, all on auto-pilot. It’s called a sales funnel and it’s the best way to maximize the ROI from every customer. You’re so correct! In fact, we provide articles on this very topic. Thanks for sharing your thoughts. Came across your article today. Great info, really appreciate the detail. I’m starting a new business venture and certainly will take your advice on board – with a few tweeks for the Australian market.